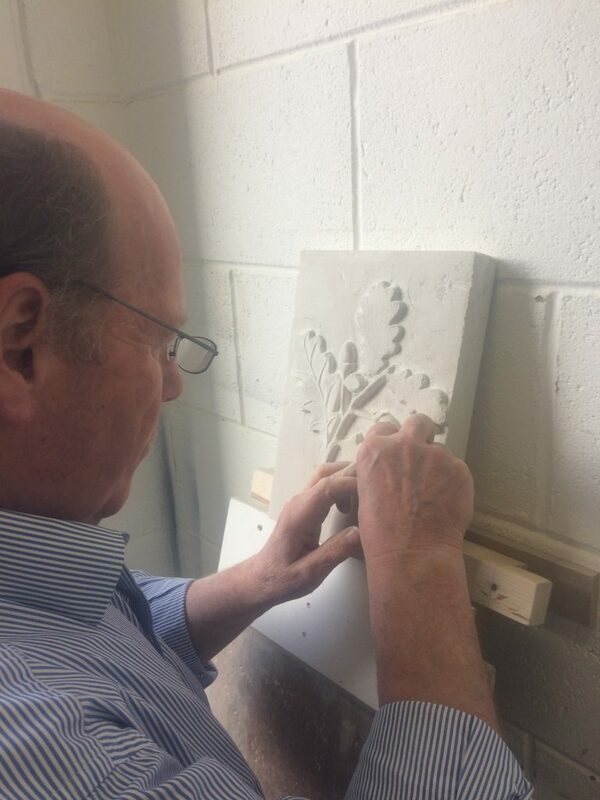 The courses run by Simon Burns-Cox are designed for those who would like to discover The Art of Stone Carving. This is an ancient form of Art which is still popular today. 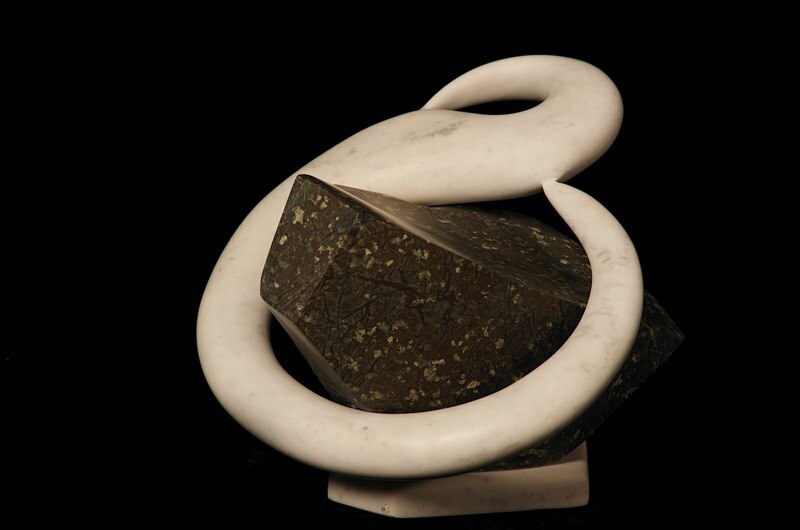 Simon Burns-Cox is a professional Sculptor and Letter Carver working at The Edinburgh Sculpture Workshop. He offers courses in Stone Carving, Stone Letter Carving, Sculpture and Stone Relief Carving to participants of all levels. The groups are small with a maximum of five participants. The courses are suitable for ages 12+ under full supervision. If you cannot attend a course, individual tuition is available throughout the year at a mutually convenient time. The courses are held in the modern purpose built studios of The Edinburgh Sculpture Workshop which is an International Centre for Sculptors. Appropriate clothing should be worn and safety glasses are provided. Gift vouchers are available and are valid for 12 months. Please contact Simon for further details about this course and other events on Mobile: 07799 474 489 or email info@simonburnscox.co.uk Please find The Information Pack and Booking Form at the bottom of this page. Simon Burns-Cox is an Associate Member of The Letter Exchange and a Licentiate Member of The Society of Designer Craftsmen, London. Simon uses many different types of Stone – Limestone, for instance, Portland from Dorset, and Forest Stone from The Forest of Dean – making Sculptures, Garden Sculptures, Headstones and Memorials, Reliefs and Signs both large and small for Home and Business. These types of Stones are good for Lettering and other work of this kind. Simon also uses Marble, Slate, Granite, Alabaster and other types of stone. Simon uses Marble from around the World which is imported from places as far away as Italy, Greece and India and sometimes even Scotland. Much of the work is done by hand using specialist Italian tools for grinding and polishing. Simon loves working in Marble because of its texture and the potential of its many veins and colours. 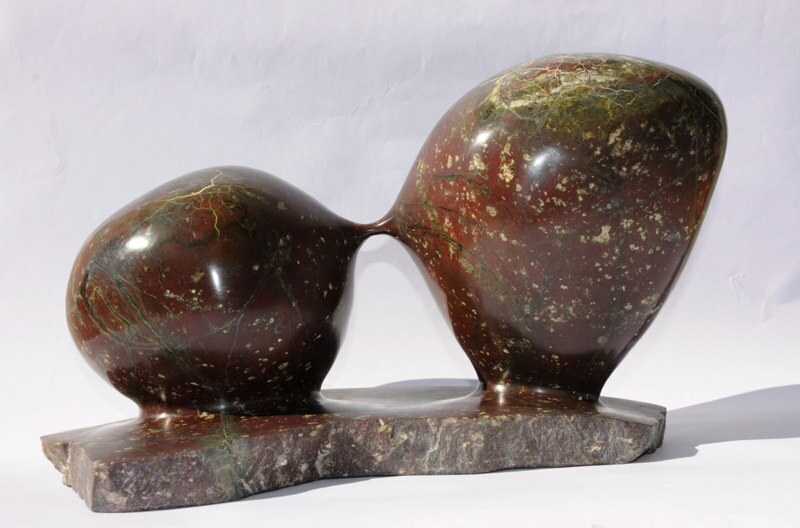 Although many of his pieces are abstractions, they have their origins in natural forms. They are domestic in scale and designed not to shock but to please. Simon wants people to look closely and to be reminded of hidden things in the world around them. The techniques and processes of working in Stone and Marble are as old as time. Some of the equipment used today dates back to ancient times where many of the great masterpieces were created with nothing more than a mallet, chisel, rasps and files. Today, we have the advantage of modern hand tools which speed up the process but Simon uses a combination of both modern and traditional tools. The first step in creating a Sculpture is to choose your stone carefully and this is sometimes done by visiting the Quarry. When Simon worked in Italy, he regularly went up to the Carrara Quarries to select the marble on site. Today, however, working in the U.K. it is a little different and he selects the stone and marble from a supplier in England. They import the stone and marble from Italy and further afield like Greece and India. So how do you begin? Simon is often asked this question and it is difficult to explain the process of creating a three dimensional carving. The first stage is to select your stone carefully. You need to decide on the size, colour and texture of the medium that you are going to work on. Once, selected, Simon looks closely at the piece of stone or marble to identify any fractures or flaws, and handles it carefully to get a feel for the piece before he begins. He then makes many sketches and drawings to work out the design of the sculpture or relief. When the sculpting process eventually begins, he roughs out the stone with a diamond blade chopping off the unnecessary parts as much as possible. Then using die-grinders, smaller chisels, diamond rasps and files, he begins to refine and work on the shape by adding detail. This can take a long time. The last stages involve sanding and polishing which can be slow and tedious but is something Simon enjoys as it produces a beautiful finish. Some people use modern tools for this process but Simon prefers to do this by hand using the standard wet/dry silicon carbide paper. This leaves him with cracked and bleeding hands! Simon offers Stone Carving Tools and Stone and Marble for sale. Please contact him at info@simonburnscox.co.uk if you would like to place an order. Contact Simon Burns-Cox for more information. Courses in Sculpture, Stone Carving and Letter Carving available for groups and individuals.